Why not get rid of management entirely? That was the thesis of Doug Kirkpatrick’s talk at the Building Business Capability conference this week about the Morning Star Company, a company which has tried the radical approach of being entirely flat, and having no managers are all. 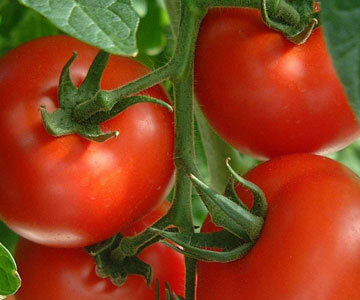 Far from failing, they have become the largest company in their domain (tomato processing). In Dec 2011, Harvard Business Review called them the world’s most creatively managed company. Doug started with some figures from a 2013 Gallup Poll (State of American Workplace) about management and workers. 30% of workers are engaged and inspired at work. That means that 70% are disengaged including 20% which are “active disengaged” who aren’t just unhappy at work, but are acting out their unhappiness undermining what their engaged coworkers accomplish. Over the entire economy that comes to 20 million people what are not really working. Gallup estimates that active disengagement costs the U.S. $450 billion to $550 billion per year. If people know how to do their jobs, why do they need a boss? People already make lots of key, life altering decisions on their own — without a boss. Can we move beyond the ‘command and control’ model of management, which was designed in the 1800 for the railroad industry? humans should not use force or coercion against other humans. If you think about it, this is the basis of all law. People should keep their commitments they make to each other. If you think about it, this is also the basis of all law, certainly contract law. How can you fail to agree with these? This was the birth of “organizational self-management”. To date, they have produced 90 Million pounds of tomato paste without a single boss. There are no bosses. People can not be fired. People can make requests of others, and there is an obligation to respond. Nobody can simply terminate another person’s employment. Similarly, nobody can tell someone else what to do. People who like to push others around, can not survive in this environment, because they don’t get the official position that enables this behavior. On the other side, people without initiative can’t survive either. The mantle of leadership is earned, not conveyed by title or position. One measure of success: in some years 100% of seasonal colleagues return the following season. Some companies try initiatives called “empowerment programs”. But in self-management you don’t need this. Empowerment implies that someone with power is loaning it to someone with less power. But whatever is loaned can be repossessed. In self-management employees have all the power they need the first day they show up. Another approach is “Worklife Balance Programs”. With self management we try to make work enjoyable. We keep lots and lots of scorecards. This turns work into a game. The scorecard is the only way to know whether a person is managing themselves properly. Most people grew up with a hierarchy, so when they come to self-management it takes a lot of time. Morning Star does not have employees; instead they are all called “colleagues”. They all get training every two years in self-management. At Morning Star everyone is a professional, even though this is a manufacturing company. The distinction between white collar and blue collar in industry is arbitrary, and Morning Star simply does not have that. Everyone is responsible for a role, and those roles are defined very specifically. Sometimes issues can take a while to resolve, because lots of people are involved. But according the the book Wisdom of Crowds (James Surowiecki) the more people you involve, the better the decision will be. Everyone is protected from capricious acts by bosses. No power trips. And no power distance either. No punishment. The only reason to review a business failure is to learn from it. No excuses are given or accepted. Communications is absolutely vital. Massive amounts, both listening and speaking. Lots of Checklists. First item on checklist: everyone gets together and discusses the situation. Just getting together and talking can prevent a lot of problems. Also business rules and business processes. The “Colleague Letter of Understanding” (CLOU, pronounced ‘clue’) is the instrument of self-management. These are used to create direct agreements between colleagues, each of whom has equal voice, define personal missions, roles responsibilities, process stewardship, and how to measure the outcome. Originally this was done on paper, but now it is all done online. These are formal, explicit commitments, and includes short term ad-hoc commitments made on a day to day basis. These documents, like contracts, are signed. They are transparent and available to everyone. Stepping stones are the performance metric, benchmark against perfection. The question we all want to ask is: how do you keep from losing control? Doug’s response was that if your company is like those profiled in the Gallup poll, with 20% actively disengaged, you are not really in control today. How do you manage yourself? : Primarily by answering two questions: why am I here? what does success look like? This might work well for tomato processing, but what make you think this would work for a really complex industry? Doug’s answer was a bit off the point. He pointed out that many of the jobs at Morning Star are quite sophisticated, involving chemistry, biology, and complex production planning. No doubt this is true, but the question was really about the product and risk inherent in different industries. There are thousands of ways that an airplane could be flawed with tremendous consequences, while making a mistake on a batch of tomato paste will rarely be more consequential than having to throw out the batch. A better answer is that “quality depends upon a culture of quality”. Boeing ships excellent planes not because managers mandate it, but because every employee knows that attention to detail and quality are essential to their business. It seems to me that a self managed organization could foster that same level of attention to quality — at least it is not clear that having a manager is necessarily required. a multitiered management structure means more approval layers and slower responses as manager occasionally exercise their authority to reject ideas. the cost of tyranny, the systematic dis-empowerment of lower-level employees to control what they do. to me, it seems natural that by decentralizing all decisions, and empowering employees to make the decisions that effect them directly, you will create an agile organization that is able to respond very quickly to external pressures. Since there is no hierarchy, people do not compete for hierarchical advancement. Instead, they compete to make the best product. Like a sports star who does not need to worry about playing the hierarchy, and instead can focus 100% on developing skills of the game. The key to making is work is good information. You can decentralize decision making if the people making the decisions have good information. On closer inspection, it is not the case that there is no hierarchy. Morning Star is a collection of naturally dynamic hierarchies. There isn’t one formal hierarchy; there are many informal ones. On any issue some colleagues will have a bigger say than others will, depending on their expertise and willingness to help. These are hierarchies of influence, not position, and they’re built from the bottom up. At Morning Star one accumulates authority by demonstrating expertise, helping peers, and adding value. Stop doing those things, and your influence wanes—as will your pay. This is the real difference. The hierarchy in a regular company is not natural or dynamic. Jobs in key positions can go to people who play politics well, or brought in based on a faulty assessment of qualities. the organization is agile and can rapidly adapt to situations. When you think about it, Morning Star has turned all of the workers into knowledge workers because they manage themselves, they are involved in the way that they work, and they have to learn things about their specific area that nobody else knows. Such ideas of self-management are essential for organizations of knowledge workers. It is not necessary for the organization to be 100% self managed the way that Morning Star is. A mix of traditional management with self-management will work if the managers in the parts of the organization that need self-management are trained and allow workers the flexibility to work out their own work agreements with each other. This already happens with knowledge workers today if not formally, at least informally. Flexible time and remote work both indicate a high degree of autonomy. The formal agreements between colleagues might be a significant burden on paper, but information technology should be able to make this much easier to make and track these commitments. In may ways, a key aspect of an ACMS is to provide support for these kinds of agreements. I doubt that large numbers of companies will be converting to be self-managed very quickly in any great number. Still Morning Star shows clearly and unequivocally that self-management works. It gives clear experimental results that self managed organizations are viable in their own right, even in the field of manufacturing which is normally thought of being a fairly routine line of work. Hybrid organizations that already exist will grow more prominent as the population of knowledge workers grows. The lessons from Morning Star are important for understanding the best practices for these knowledge worker heavy organizations. This entry was posted in Adaptive, Adaptive Case Management, Knowledge Work and tagged Adaptive, Adaptive Case Management, Enterprise 2.0, knowledge work, knowledge workers, learning organization. Bookmark the permalink. Any good examples besides the tomato paste crowd that run this way? I’m not aware of any quote-unquote “real businesses” that do. There are some that come close – like Gore, but they have leaders/managers and an executive team that sets the table, and I’m pretty familiar with how they operate – and it isn’t “unmanaged”. So I’m wondering who does fit this model? Not many. Open source projects don’t have any official managers and open source developers seems to do fine without them, but that is not a big business in any traditional sense. A survey by LNR (see link below) found that less than 3% of people work at organizations that could be considered substantially self-managed. It is a radical departure from traditional management, and Morning Star is very much under the microscope for that. I agree that many parts of many organizations get pretty close to self-management — places where the goals and duties are easy to align. It is hard to say that this radical approach of eliminating managers across the entire company will work for others, but it is certainly proof that it can work in some situations. Overwhelmingly, companies use hierarchical management. The question is “why”? Doug makes the case that this is done purely because of tradition. Since most of us only have experience with hierarchical organizations, we tend to believe that it is the only possible way to have a company. Maybe I did not include enough detail, but Doug started with a lot of evidence that hierarchical management is an expensive overhead. The HBR articles says to manage 100,000 people, you need about 11,111 managers, but what do you get? I mean, if you eliminate that 11% of the workforce, what do you lose? Most of us would assume that chaos would result, but Morning Star proves that chaos is not necessarily the result. Morning Star is only one example, and so we can’t simply generalize and state that all companies would benefit from firing all the managers. It does not prove that self-management is better in all cases, but it does prove it works in one case, and that ‘disproves’ the idea that hierarchical management is necessary in all cases. The exercise that is left to the reader: would self-management work in another particular situation? There are no easy answers. We all have to ponder that. … there cannot be NO hierarchy. Like in any community or organization there has to be the power to stop people from doing something that is not according to the commonly agreed rules. But yes, those people do not have more power than others as it is just bestowed temprarily and should be moved to different people frequently to avoid power misuse. The other aspect of hierarchy is that hierarchies are efficient. Different people do different things and all people being involved in all decisions is not efficient and it does not improve the decision. Otherwise our democracies would be more efficient too. People are given/assigned/choose a particular responsibility and then work independently. There has to be some hierarchy in a larger organization that considers the larger objectives and who use their experience to decide things that less experienced people find difficult. Yes, new and different opinions should be heard and considered. But someone in the end has to decide and if I am responsible then I do not do what others tell me as otherwise I am not. Hierarchy means management layers but the question is how these management positions are filled. It is my experience that if many people do not have the feeling that there is someone that takes care of them that they loose the interest in the team. A team usually needs some kind of figurehead to hold it together. An organization with NO management at all will in most cases not be doing anything special but just follow the mediocre, average path that the statistical sum of all opinions will produce. That may be desirable from a human perspective but it actually limits progress. Any organization is a grown, evolved structure and one cannot simply change one aspect of it, like removing management. It would not work. If it grows without management then yes, it might work better. LIke most plants which will grow in many different soils, but once the are adult trees, if you uproot them and plant them some place else, they simply die. I think that what we propose with (i.e. ACM-supported) empowerment is a great way to allow many of the benefits of self-managed organizations in a usual hierarchy, by enabling top-down and bottom-up transparency. Empowerment is after all simply achieved by authority, goals and means. Employees are most satisfied when they have job-security, recognition and autonomy. There is no need to get rid of management to allow that. But yes, the usual management politics have to go but they are usually driven from the top and not from the bottom. And management suddenly being happy with the notion to get rid of itself is highly unlikely. Let me also point out the typical BPM efforts enforce the control and hierarchy, employee disconnect and reduce job security. BPM is used to strengthen the management strange hold on a business and not to improve anything. Shared service centers and process outsourcing make that even worse. So all in all we are moving in exactly the opposite direction of what you are discussing. Doug insisted that everyone had a single boss: the company mission. I think it is a little more complicated than that. The founder is in a special position, and I suspect he steps in to resolve things that do not resolve themselves. I understand that within the organization a hierarchy does form: people look to other people for direction and coordination. That hierarchy forms “naturally” instead of being imposed by others. There are clearly advantages against the “Peter Principle” because if a person in that position stops doing the job, it is possible for someone else to be put in that position by consensus. It is clear that a traditional “imposed” hierarchy has a problem in that people can be placed improperly into a position, and then stay there. Some people game the system by doing what is necessary to impress the boss, get the promotion, and then use that to their own ends. Self management avoid these abuses of hierarchy, but probably introduces others. Have you ever had a boss or leader who people personally didn’t like, but nevertheless people trusted and agreed was a good leader? (e.g. the coach that the team members hate, but ultimately brings the team to victory.) It is rare, but I have seen unpopular people do a good job leading an organization, and I worry that this way of forming hierarchy by consensus will tend to pick people who are popular for reasons that have nothing to do with leadership ability. This is, however, rare and probably not any concern comparable to the abuses of the fixed hierarchy. Completely agree that you can not take an existing organization and yank out the management. This sort of change has to be made at inception, and the organization needs to grow around this idea from the beginning. My experience with software startups is that they tend to be in practice very flat. There may be a formal hierarchy, but if the goal of the company is clear, and the number of people small, people jump in and do whatever they can without regard to the formal roles and responsibilities. So I am not surprised that a company can ‘self-organize’ itself in an autopoietic way, however this example surprised me because of the size of the organization, the nature of the organization (mass manufacture), and the unambiguous evidence that they have done very well by this method — enough to become the biggest in the field. Something worth watching. this is an interesting bit of research on the subject. They set out to prove that managers don’t matter… and were unable to. In our own firm, I like to hire the person I think will lead a team and put them “in the team.” If they’re really the leader, it will become clear soon enough. Not everyone is cut out to earn their stripes with the team – but if they have the content and the character and the drive, they’ll prove that they have the right stuff, and end up running the team. Note: I don’t tell people that’s what I’m doing. I guess I’m letting the cat out of the bag here, but hopefully not too many people from BP3 will read this 😉 There’s a real value in the self-selection the team will do (for some roles). And there’s a real value to the leader of the team in having earned the trust of the team prior to becoming the leader – they know they’ve earned it, they feel confident in their interactions with the team as a result. An analogy : in the neighborhood growing up, who decided what game to play? In my neighborhood, there were a lot of boys within 2 years in either direction of my age. Somehow one person in our neighborhood got their way about 90% of the time for what game to play (basketball, hotbox, hide-and-seek, tag, football, risk, you name it). 9% of the time it SEEMED like he was getting his way. and the other one percent, he had to cave in to popular opinion and do something he really didn’t want to do. You put people in a group, and leadership is emergent.